The New York Times bestselling author of Promise Not to Tell returns with a simmering psychological thriller about ghostly secrets, dark choices, and the unbreakable bond between mothers and daughters. Now, in present day, nineteen-year-old Ruthie lives in Sara’s farmhouse with her mother, Alice, and her younger sister. Alice has always insisted that they live off the grid, a decision that has weighty consequences when Ruthie wakes up one morning to find that Alice has vanished. In her search for clues, she is startled to find a copy of Sara Harrison Shea's diary hidden beneath the floorboards of her mother's bedroom. As Ruthie gets sucked into the historical mystery, she discovers that she’s not the only person looking for someone that they’ve lost. But she may be the only one who can stop history from repeating itself. 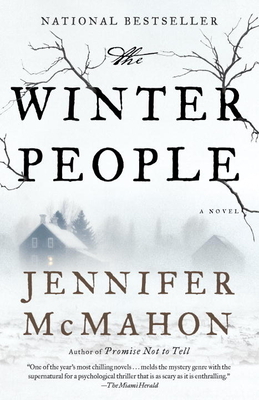 Jennifer McMahon is the author of six novels, including the New York Times bestsellers Island of Lost Girls and Promise Not to Tell. She graduated from Goddard College and studied poetry in the MFA Writing Program at Vermont College. She currently lives with her partner and daughter in Montpelier, Vermont.